Letter from Theodore Foote, M.D. to George Pullman inquiring what other companies are in Pullman, IL. Description Letter from Theodore Foote, M.D. 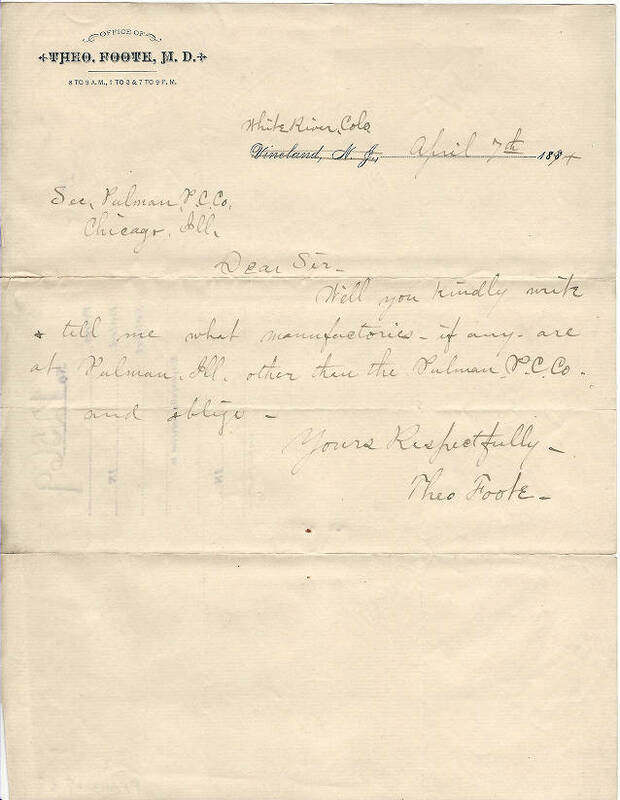 to George Pullman inquiring what other companies are in Pullman, IL.